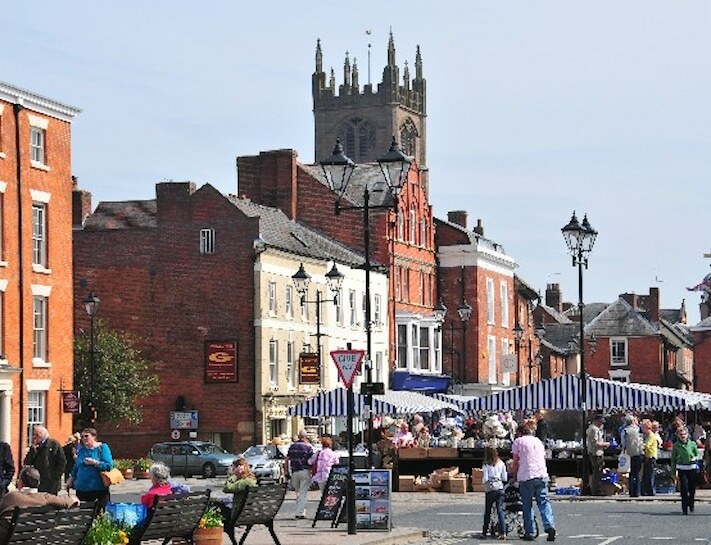 The boutique shops in Ludlow are mostly independently owned, with plenty of variety including artisan food shops, clothing, antiques and locally produced gifts . There’s a traditional open-air market in the Market Square every Monday, Friday and Saturday throughout the year (and Wednesday markets from April to September too). Shop for books, crafts and gift ideas, or head to the Local Farmers Market on the second Thursday of each month for artisan foods, local meats, cheeses and the perfect gifts for food lovers. There are a number of festivals and family friendly events throughout the year, such as The Spring Festival, Ludlow Food and Drink Festival and the Medieval Christmas Fayre. A great place to get sociable, enjoy local food and drink, live music and plenty of entertainment. Several of Ludlow’s restaurants are listed in the Michelin Guide , the AA Guide and the Good Food Guide. So you won’t be stuck for somewhere delicious to eat. Choose from a wide variety of restaurants, cafes, gastro pubs and afternoon tea shops, plus a selection of cuisine from India, China, Thailand and Japan. The picturesque countryside around Ludlow makes for a great afternoon stroll. Planned walks from the town will take you out to cosy forests, or the Shropshire Hills are just a short drive from the centre. Ludlow is at the start of the Mortimer Trail, a long-distance path to Kington on the Herefordshire/Wales border. Ludlow Leisure Centre offers a range of facilities including a sports hall, swimming pool, fitness and health suites, tennis and squash, plus somewhere to relax afterwards with a drink and bite to eat. So however you plan to spend your day in the country town of Ludlow, you’ll have plenty to keep you suitably entertained. Finish your day with a visit to the brand new SPAshell for a relax in the sauna or a reviving spa treatment. For further information, visit Fishmore Hall’s website.